How to hang Xmas lights – a handy guide! Lin-Manual Miranda is SO TALENTED. United states of pop! Fun. The little booty shake move here kills me. Yet another shooting yesterday. When do we decide this is unacceptable? I love the look of Amber’s simple spice cookies! 18 rude texts from your anxiety. Hah. Yay! I look forward to I-Think-Thursday every week, and seeing my link up there is just icing on the… spice cookie. What are those “cookies” shown in the picture? Is that pineapple inside it? 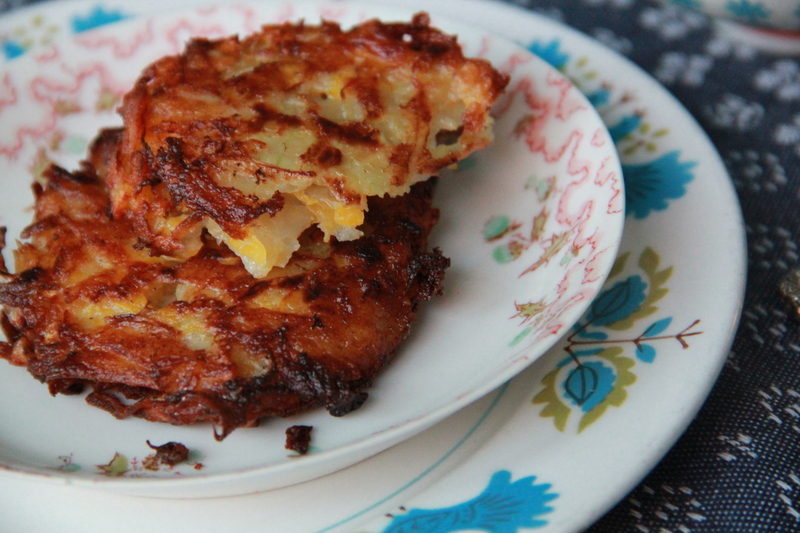 Marie, those are latkes! With butternut squash inside. If you click link #1, it’ll take you to the recipe.